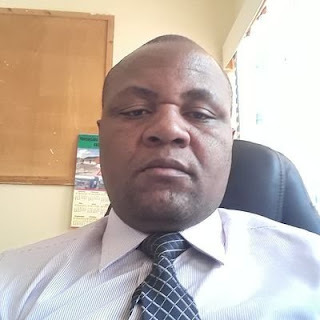 SHURUGWI – Councillors at Tongogara Rural District Council (RDC) are not happy and have expressed shock at the local authority’s Chief Executive Officer (CEO) Brian Rufasha’s decision to dismiss the head of the environment department. The councilors are unanimous that the decision was unprocedural and should be reversed because it will cost council large sums of money in fighting lawsuits. Munyaradzi Mubaiwa was dismissed for applying to drive a council vehicle allegedly without the proper licence. The councilors including the council chairperson, Tamiswa Njovana told The Mirror that the dismissal was not brought to the attention of council before it was taken. “We are appalled by the CEO’s decision. Council will suffer unnecessary damages and lose a lot of money through defending the appeal that has been lodged by Mubaiwa,” said Njovana. Councilor Wilbert Rambanepasi said that council should vote and rescind such a decision. “We should rescind the CEO’s decision because it reflects badly on council. Procedure was not followed and the dismissed manager must therefore be hired back,” said Rambanepasi. Shurugwi district administrator Langton Mupeta said that he was not happy with the decision and he informed the ministry of local governance through the office of the provincial administrator. “I am not happy about such developments how can one person make unilateral decisions like these without the council knowing, I have since informed the ministry through the provincial administrator and they were shocked by such decisions, we should not let decisions like these stand,” said Mupeta. Rufasha said that everything that he did was above board and he followed the law from the start to the end of the proceedings. “We used the SI15 of 2006 to dismiss Mubaiwa, everything was done above board hence the council will not suffer any prejudice, Mubaiwa had another infraction in December of insubordination and was on a final warning, after he was found guilty on this offence we had no option but to let him go,” said Rufasha. Mubaiwas lawyer … said they have very strong grounds to challenge the dismissal, chief amongst all is that the application in question was filed in May 2015, and no action had been taken until March 2019. Legal expert Mavese Mapfumo said that the major question is whether or not an offence was committed by a mere application. “The question is whether or not an offence was committed by way of a mere application to drive a vehicle which application was not even granted, and another issue is that the penalty must fit the offence, dismissal is a severe punishment reserved for serious offences, it brings to mind the question of whether or not the employee received a fair hearing,” said Mapfumo. The council resolved that the matter be referred back to the Human resources committee for investigations and research on the laws used by the CEO and how best to handle the matter to protect the interests of both the council and the employees.